I love Gabor Maté. He’s one of my favourite people working in the recovery field and you can find a number of blogs referring to his work on this website. And I’m not the only person who loves his work. Here’s the latest blog (slightly modified) from Monica at Beyond Meds. ‘Here, Gabor Mate tells us the medical profession are the most difficult to speak to about what he’s learned in his work because they don’t recognize that so-called mental illness and most physical chronic illness is the result of childhood loss and trauma. We don’t need anymore research he says. We know the cause of these issues. He points out that the barrier to the health professionals is that they’ve not cared for their own trauma. This is clearly true. Many professionals are afraid of their own darkness. This makes it impossible for them to correctly recognize issues in their patients and clients. 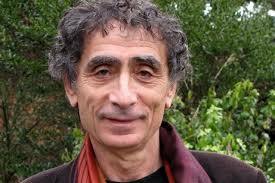 I love Gabor Mate. If you’re not familiar with his work please view this video. He’s brilliant, inspired and right on.